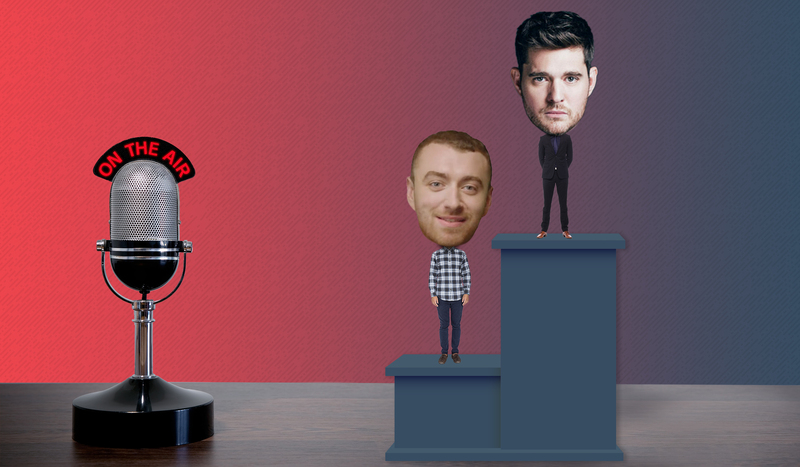 Just four months on from the launch of smoothfm‘s Sam Smith campaign, the artist’s spins appear to be on the wane in favour of the tried and tested Michael Bublé. But the network has confirmed to Radio Today the campaign was a success and that Smith remains part of its future marketing plans. UK-hailing Smith was unveiled as the new face of smoothfm in April this year, replacing fan-favourite and long-term ambassador Bublé. In the month that followed, spins of Smith’s music were high, coinciding with the campaign and his Australian promo visit. In the months since, the airtime of his music has fallen significantly from the playlists of smooth 95.3 Sydney and smooth 91.5 Melbourne. Former face of smooth, Bublé, has been one of the key beneficiaries. The Canadian artist copped more than four times as many plays as Smith in the month of July. Thomas this week told Radio Today that the campaign, which ran between April and June, has been a great success for smoothfm. “Although this phase of the campaign has concluded as planned, the campaign has longevity and we will continue to support Sam Smith on smoothfm and in our future marketing for the brand. Many in media and marketing will agree that smoothfm’s Bublé campaign was among the most successful Australian TVC’s for a radio network. The creative cut through quickly and leapfrogged the Sydney and Melbourne station to new heights. According to AirCheck data obtained by Radio Today, Smith’s spins fell dramatically between the month following the campaign launch (on April 6) and the month of July. 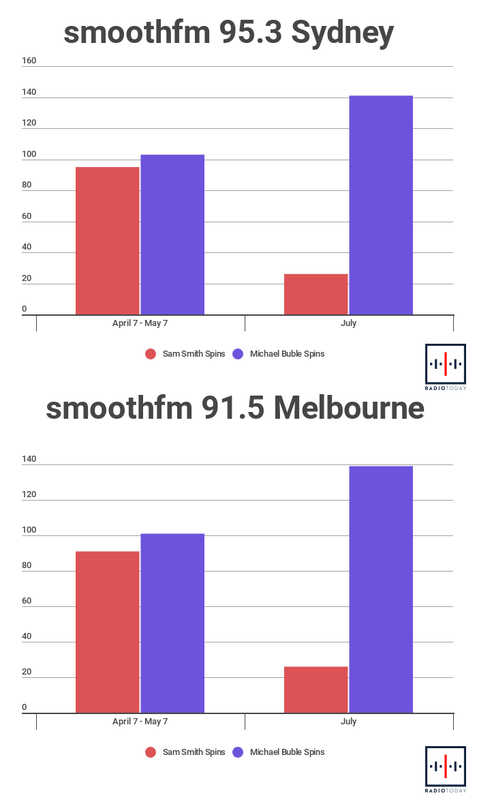 Between April 7 and May 7, Smith was spun 95 times on smooth Sydney and 91 times on smooth Melbourne. In the month of July, his spins dropped dramatically across both stations, each playing Smith 26 times respectively (‘I’m Not The Only One’ and ‘Stay With Me’ were the only tracks on rotation). Meantime Bublé’s spins were up, with smooth Sydney spinning his hits 141 times in July. This was up from 103 spins in the month following the Smith campaign launch. smooth Melbourne played Buble’s tracks 139 times in July, this was up from 101. Sam was a bad choice from the start for Smooth. Not instantly recognisable and not a household name for the Smooth target. But I guess anything from the UK is ok hey Nova?